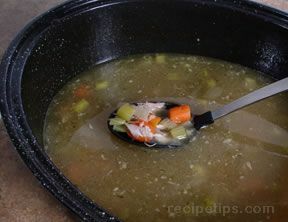 The clear liquid that remains after slowly cooking foods such as meat, poultry, fish, or vegetables. The liquid is strained and becomes the base that is used for sauces, soups, and stews. 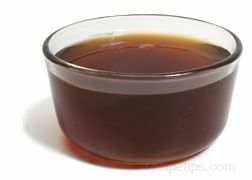 Stock can also be boiled to eliminate some of the liquid, which thickens the stock and intensifies the flavor. This thicker stock is known as reduced stock.